Bamboo Cutting Boards | Patio and Hearth Co. 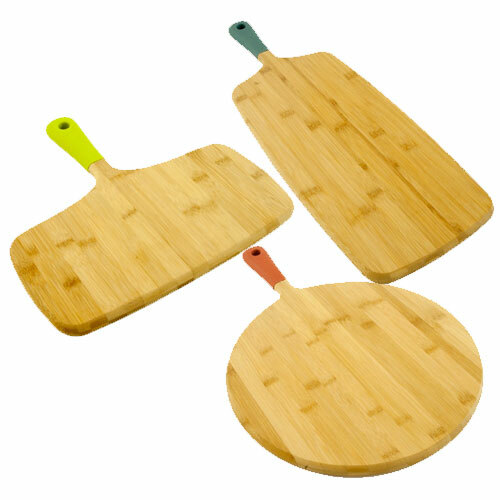 This durable bamboo cutting board is a beautiful and practical addition to your indoor or outdoor kitchen. Use during food prep to chop and cut your food without damaging countertops. Even better, the colorful soft-grip handle makes it easy to transport to the table to use for serving. Inquire about Bamboo Cutting Boards using the form below.